Ovenclean Blog | Should I Get Professional Oven Cleaning? 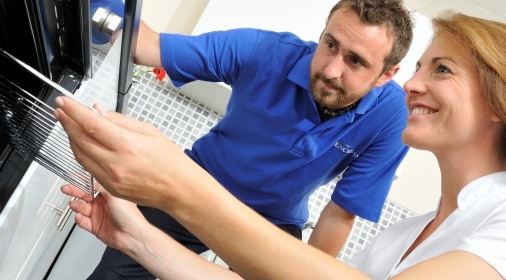 Professional oven cleaning is often a task people feel they can undertake themselves, but often wonder whether they should get an oven cleaning company to assist instead. The kitchen is the heart of the home after all, and your oven is a heavy duty appliance which requires some TLC when it comes to monitoring hygiene and functionality. This article helps answer some of the common queries to help you make the right decision. How dirty does my oven need to be? We routinely use our kitchen, likely on a daily basis or more, depending on your routine and hobbies! From the demands of a Sunday roast dinner on your oven. to those weeknight dishes rustled up on the hob, we frequently create food and grease residue, building up to visible (and often hidden) signs of wear and tear. A build up grease layers over time can often lead to bad odours, as well as visible traces on glass doors and trapped deposits in oven trays and racks. Dirty ovens can be dangerous. It’s time for a deep clean! Professional oven cleaning does not only leave your oven to a showroom standard finish but will prolong your oven’s life. Regularly maintaining the health of your oven with help you avoid hefty costs for parts and replacements in the future. Can I clean my oven myself? If you prefer to roll your sleeves up and get the job done yourself, be sure to read The Ultimate Guide to Cleaning Your Oven to help you through the process. Home cleaning solutions often claim to provide a deep clean solution, but they are often limited in results, eliminating only surface grime and grease. Not giving your oven a deep clean can result in carbon deposits or a build up of dirt in filters, this can often lead to affecting the performance of your oven. 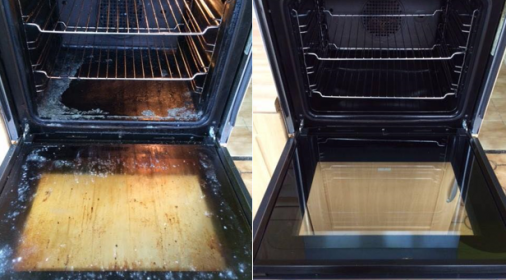 At Ovenclean, our professional oven cleaners will be able to remove grease deposits deeper in the oven mechanisms, as well as taking the time to clean all removable parts of your oven including your extractor fan. It’s common to think you will need to put up with unpleasant fume smells when cleaning your oven. This is a concern for many of us, particularly when there are young children at home who may be near to or reach hazardous areas. It’s true, typical DIY oven cleaners are very potent in your home, but a professional oven cleaning solution should not smell and are classed as odourless. There is no reason why the cleaning process can’t be completed without causing any disruption to your day – even allowing you to use the oven as soon as the job is complete. In addition, during our service, your house will remain clean. We soak all oven components such as oven trays and racks in a bath outside your home. As well as cleaning your oven, professional oven cleaners can give you oven a full-service inspection to ensure its working most efficiently, as well as uncovering any damage to your oven. Our professional oven cleaning specialists dismantle your oven to check its functionality is not affecting performance and ensure every part is cleaned. 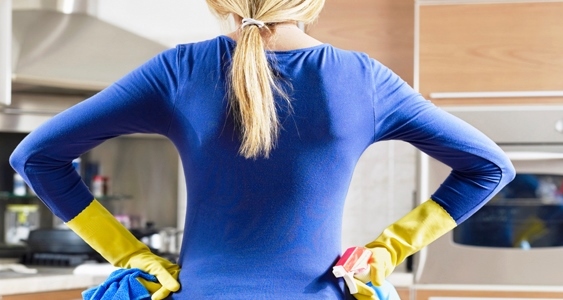 With home cleans, you are often exposed to toxic chemicals. There is also the risk of chemical damage to surrounding kitchen cupboards and floors; an expensive situation to put right. At Ovenclean, we maintain a chemical-free environment when cleaning your oven appliance, using non-toxic products, which are safe to use around you and your family, and protecting your home from damage. How long will a professional oven clean take? 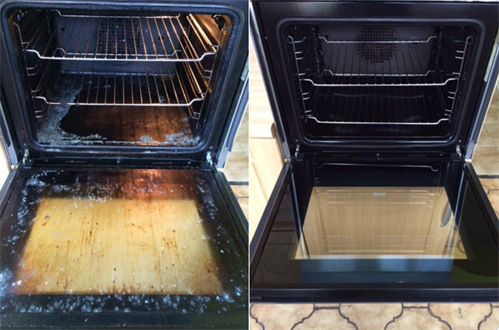 The time it takes for a professional oven clean varies, but about two hours is average. You will also be able to safely use your oven straight away – due to the eco-friendly process. 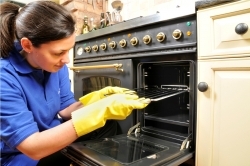 Is end of tenancy oven cleaning necessary? 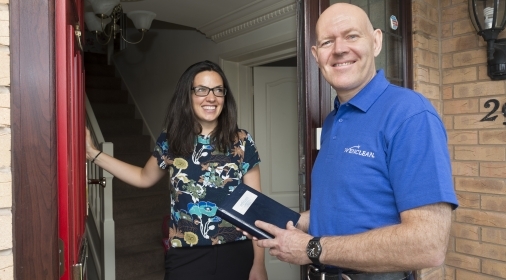 You may find that you are tied to a clause in your end of tenancy rental agreement, requiring you to book a professional oven cleaning before vacating. In this case, you should book a professional oven clean to avoid risking landlords withholding your deposit. If you are going to get it done, it will mean it is done properly and without any stress. How often should you get your oven professionally cleaned? Professional oven cleaning does not only leave your oven sparkling clean on the surface, but it will also prolong your oven’s life. The extra upfront cost to guarantee the maintenance of your oven through a professional oven cleaner may help you to avoid more extensive costs in the future. If you’d rather let a professional oven cleaner take the hassle out of cleaning your oven, We have a network of specialist oven cleaners who work with all types of oven brands and models, including range and Aga cookers.